Should the Time Children Spend in Front of Screens be Limited? s“A windy March and rainy April, see May take flower and be beautiful”. So goes one of Spain’s most popular springtime proverbs, offering a prelude to the heat and long evenings of the summer (although in a few years it may have be updated due to climate change). It is also a hectic season for insects, which buzz from flower to flower collecting precious nectar and pollen. This also makes pollination possible, which is partly responsible for the survival of the human race and the fact that you are reading this right now. I don’t know if you’ve ever stopped to think just how important bees are, as one of the most efficient pollinating agents that we have in this fragile equilibrium. Perhaps you have heard or read that apocalyptic quote attributed to Albert Einstein (although there is no evidence that he actually said it, as discussed on the website Espaciociencia.com), saying that if the bee disappeared off the face of the Earth, man would only have four years left to live. Regardless of who said these words, the fact is there is a great deal of truth to them, as 85 percent of European plants depend on bees for reproduction. And if they do not reproduce, then there would be no seeds, and without seeds…. You can imagine how the rest goes. The problem is that everything that I have said so far, which could easily be lifted from the script of a horror B-movie, seems far more threatening in the knowledge that numerous studies have concluded that bees are disappearing by the thousand (reality very often outdoes fiction in these sorts of things). In fact, in the United States alone 42% of bee colonies disappeared in 2015. Why? The scientific community points to a combination of factors, from climate change to pesticides, and from diseases to invasive species such as the Asian wasp (Vespa velutina), which is extending at a rate of 50 km each year across Spain’s Cantabria coast (according to La crónica verde, a blog run by the newspaper 20 Minutos, “ten Asian wasps can kill 30,000 bees in one week”). Perhaps you have already seen the campaign run by a well-known environmental group to save the bees, calling for the public to sign a petition to ban the use of the toxic products that are annihilating the insects. While it may be a useful initiative, I think there are more effective means of engaging the public and driving innovation. And here I will discuss some of the tech projects currently underway around the world that hope to save our fuzzy little Earth companions. You can’t protect what you don’t understand, so let’s start with a project based in Minnesota (USA). It aims to create an atlas of information, detailing the species native to the state, bearing in mind that scientists believe there could be around 400 species that are virtually unknown. The project harnesses citizen science, with members of the public uploading observations and photos to the iNaturalist app. A similar initiative is the Great British Bee Count, run each year by the UK arm of Friends of Earth, as part of its “The bee cause” project. For several weeks every year the organization encourages volunteers to use specially designed mobile applications to count the number of bees that they encounter. The organization also uses its website to sell plant kits that will create havens for these insects, with the goal of building bee corridors. I don’t know what the scientific value the data generated by the initiative has, but it’s definitely a fun project and may get people thinking more about bees. In the professional sphere, the farmers of California, Idaho, Oregon and Washington have been provided with an intriguing app, which supplements a 2013 publication from the Oregon State University. The app details the toxicity to bees of 150 insecticides, fungicides, etc. The tool classifies the different products into 3 categories: highly toxic, toxic and no warnings for bees on the label, and is applicable to honeybees as well as other types, such as Osmia bees. The Internet of Things and big data also have a part to play in this good cause. Eyesonhives is a system of cameras that records the comings and goings of bees. 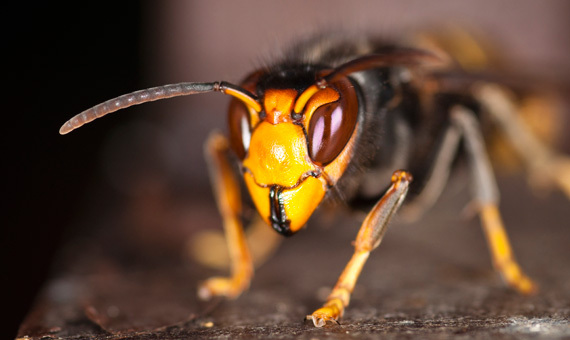 A dedicated software package is able to evaluate behavioral patterns and detect any strange conduct, subsequently sending notifications to the beekeeper’s cell phone. Another project harnessing such technologies is MiteNot, a partnership between the agricultural technology firm Eltopia and the specialist in M2M communications Gemalto. Currently in the trial stage, MiteNot consists of a smart bee hive frame made from biodegradable materials, such as a compostable corn product, which is then covered in wax. The frame is being used to remove varroa mites (which destroy hives), by allowing the inside of the hive to be monitored. 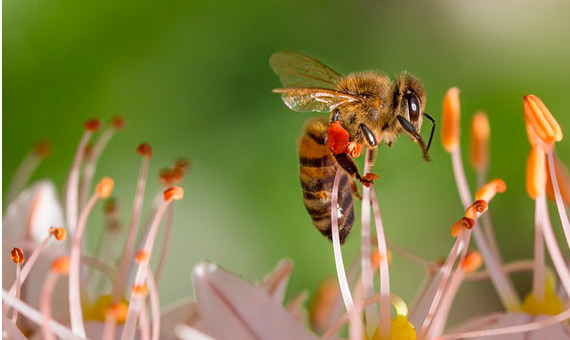 Beekeepers can subsequently identify when and where to increase temperatures within the hive to interrupt the mites’ reproduction cycle. If none of these projects have caught your interest just yet, I’ve saved one of the most intriguing projects for last, and one that I only discovered a short time ago. It goes by the name of MelissAR and is the brainchild of Australia’s CSIRO (Commonwealth Scientific and Industrial Research Organization). Still in the prototype stage, it uses augmented reality to monitor hive health. Beekeepers can focus a mobile device on the hive, and an overlay appears featuring useful information. In short, bees are still hatching here on Earth, just like Maya the Bee, but unfortunately they face an uncertain future. You can keep on signing petitions if you like, but technological innovation may be more likely to tilt the balance one way or the other, don’t you think? This article was originally published in i-ambiente.